Looking for a reliable accounting company in Burnt Oak London has been a difficult task for many startup business holders. However, the search can end at Miranda Management and Accountancy Service Ltd. We provide efficient and reliable services to businesses as well as self employed individuals. If you are looking for accounting solutions from reputed, cost effective and efficient accountancy firms then Miranda Management and Accountancy Services is the best choice. We are based in Richmond and Uxbridge, providing efficient and affordable accounting services. Our auditors are trustworthy and efficient enough to handle all sorts of financial queries. We provide services ranging from basic to complex accountancy and taxation related issues. Our team of management consultants help in areas such as dealing with personal and business taxes, payrolls, business audits, VATs, bookkeeping, annual reports, etc. Our accountants in Burnt Oak, London are always ready to provide you with the best accounting solutions. We have a friendly team of professionals who are ready to provide customised services to our clients and deal with complex queries from the HMRC. Our main goal is to satisfy our clients with efficient services be become a market leader in this ecosystem. We are making sure that the service we are providing to our clients with the right services that they need and keep things as simple as they need to be. MMAAS are completely devoted to the growth of our clients. Hence, we provide the best possible accounting services for your business. We value your time provide nothing but prompt services dedicated to our client’s needs. 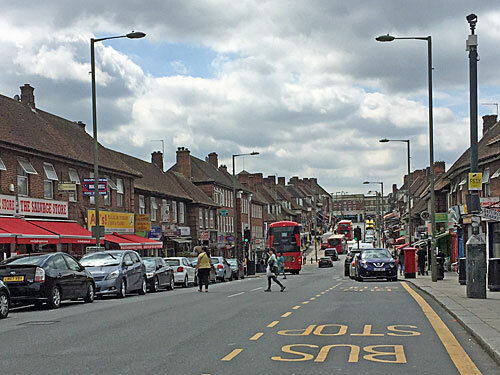 At Miranda Management we not only provide accountants in Burnt Oak, London, but offer our services to clients in other areas of London as well. Our aim is to satisfy our customers by providing them with the best possible services. In addition to our services we provide you with cost effective and problem solving tools to enhance your business performance as a Bonus. Do come and experience a friendly and satisfactory work environment with us. We would love to hear from you. Call us now for a free no obligation quote.